A KIND stranger who gave three people a lift in Cambooya this morning is wanted by police, but not because of their crime. Police believe the good Samaritan, a man driving a blue Holden Commodore sedan, was taken advantage of when he gave the trio a lift soon after a stolen car was torched in the small rural town. Detective Acting Senior Sergeant Brian Collins said the Mercedes Benz, stolen from a Newtown home on September 9, was found burnt-out at the intersection of Kuhn and Perrin Rds about 9.45am. The same vehicle, with three young people inside including one female, had rammed an unmarked police car near the intersection of James and Kitchener Sts about 8.35am. 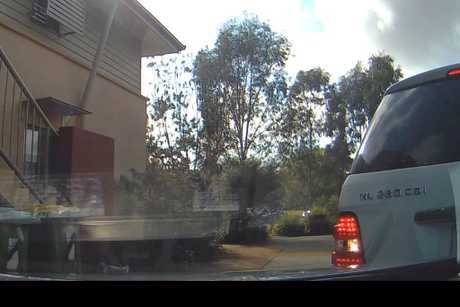 Police dash cam vision shows a stolen vehicle ramming an unmarked police car near the intersection of James and Kitchener Sts. Snr Sgt Collins said detectives had been at the Toowoomba address on an unrelated matter when they spotted the stolen Mercedes and tried to stop it fleeing the area. The car reversed twice into the police vehicle before smashing through a fence and heading west on Kitchener St.
Police are investigating if fuel stolen from a Cambooya service station was used to set the Mercedes alight. 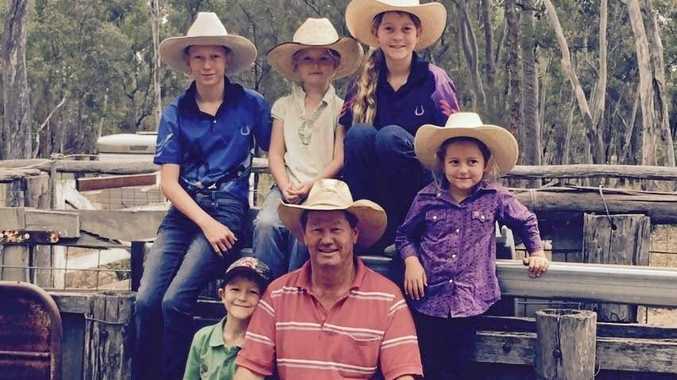 "We've got no indication they (the driver) is known to these people," he said. 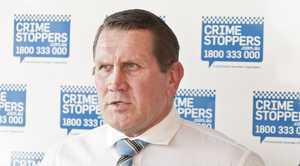 Phone Crime Stoppers on 1800333000 or Toowoomba detectives on 46316344.